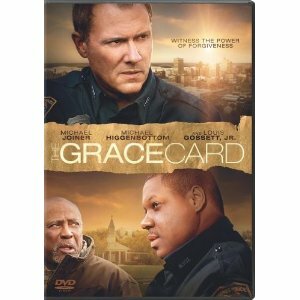 The Grace Card releases on DVD on Tuesday, August 16, 2011.﻿ This is an inspirational Christian movie about Mac McDonald. The movie opens as his small son is killed seventeen years ago. Determined to keep that from happening to someone else, he becomes a police officer and is once again passed over for a promotion because of his attitude. He's paired up with Sam, who he doesn't like. For one reason, he got that promotion Mac wanted and secondly, he's not the "correct" skin color, and also he doesn't like his "preaching" at him. During the movie Mac's son Blake gets kicked out of school, and as always, bad stuff in our lives is always relative because not long later in the movie, Blake's being expelled from school is the least of their worries. This movie focuses on unforgiveness. It mentions slavery and shows the effects of unforgiveness towards a stranger who killed a child. Not only for those involved themselves, but for those around them. It mentions drugs briefly, and I believe this movie would be an excellent starting point for a discussion in families of some tough issues. It would make a good movie to be shown at church events, as well. Everything can change in an instant … and take a lifetime to unravel. When Mac McDonald loses his son in an accident, the ensuing 17 years of bitterness and pain erodes his love for his family and leaves him angry with God … and just about everyone else. Mac’s rage stonewalls his career in the police department and makes for a combustible situation when he’s partnered with Sam Wright, a rising star on the force—who happens to be a part-time pastor and a loving family man. Can they somehow join forces to help one another when it’s impossible for either of them to look past their differences—especially the most obvious one? Every day, we have the opportunity to rebuild relationships and heal deep wounds by extending and receiving God’s grace. Offer THE GRACE CARD … and never underestimate the power of God’s love. I have one copy of The Grace Card DVD to give away to one of my readers. Open to the USA, 18 and over. Please leave a SEPARATE COMMENT for each entry you do. I use random.org to pick winners so a separate comment is needed for each entry. 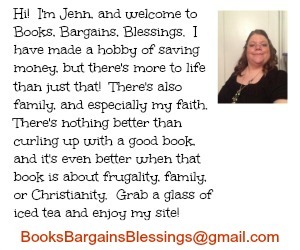 Please leave your e-mail address in your comment if it's not in your blogger profile. Winners will have 48 hours to respond to the e-mail before another winner is chosen. Giveaway ends August 24th at 11:59 pm. Tell me why you would like to win a copy of this movie. Visit http://www.thegracecardmovie.com/ and tell me something you learned. “Guides Concerning the Use of Endorsements and Testimonials in Advertising." thanks for chance.. I think be good movie to watch with family. I feel the pain of being caught in 2 worlds. As a Pastor to be, I know where my heart should lie, but my old self wants to come out so often it seems. I struggle with making a difference in the lives of those around me and sometimes feel it is a failing process... Like no matter what you do or say, it just doesn't matter. I would like to win because it looks really good. Looks like a good movie to watch with family. I liked The Grace Card on FB! I followed The Radar Report via Google Friend Connect! I would love to win this becouse I am always looking for good clean DVDs to bring into the house. My husband and I have about 4 DVDs between us and can't afford rentals (and have no TV). I'd love to win this to add a new movie to our collection and to give us an at-home date night option for when baby arrives soon. I would like to win this movie, it looks like a good movie with a message, and uplifting movies are hard to find these days! I found out on the site that Michael Joiner is mainly a comedian and wrote for the Tonight Show with Jay Leno before! I like the grace card on facebook. I think that it would be a great movie to watch with my family! I visited the site and learned that the movie is by Graceworks and Calvary Pictures! Our church has neighborhood outdoor movie nights 1-2 times a month that we are in charge of and we are always looking for good movies to show. This would be fantastic. Thanks. I would love to win this movie as I heard about it a little while ago and thought it looked fantastic! I learned on their site you can request ministry materials from The Grace Card! It is so hard to find a good family movie these days, would love to win this to watch with my husband! I love that this "The Grace Card" is Christian based and think that it would make a great family night movie. I am a fan of The Grace Card via Facebook as Jill Myrick. It sounds like something my family would enjoy. I learned THE GRACE CARD is the first movie from Memphis-based Graceworks Pictures in conjunction with Calvary Pictures. I'd like to win because it seems like a really interesting movie! i'd love to add this to my collection because i've never seen it! I think this looks like a great family film! I learned the writer used to write for the Tonight Show with Jay Leno!